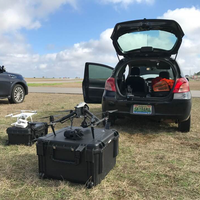 SkyBama provides high-quality aerial photos, mapping, HD video of events, breaking news, feature films, commercials, television productions, real-estate, property or construction projects.Can provide manned aircraft photography. LICENSED, INSURED Covering the entire state of Alabama and beyond. Sept. 13, 2018, 4:59 p.m.
SkyBama is awesome to work with. They are very prompt in responding to my emails or phone calls, and the end product was exactly what we were looking for. The drone footage was high quality and very well done, and his editing was on point as well. Would absolutely use them again. Sept. 13, 2018, 4:58 p.m.
Great to work with.. Hired and he was able to take the photos same day and send me the link. Photos turned out great. Would definitely hire again.